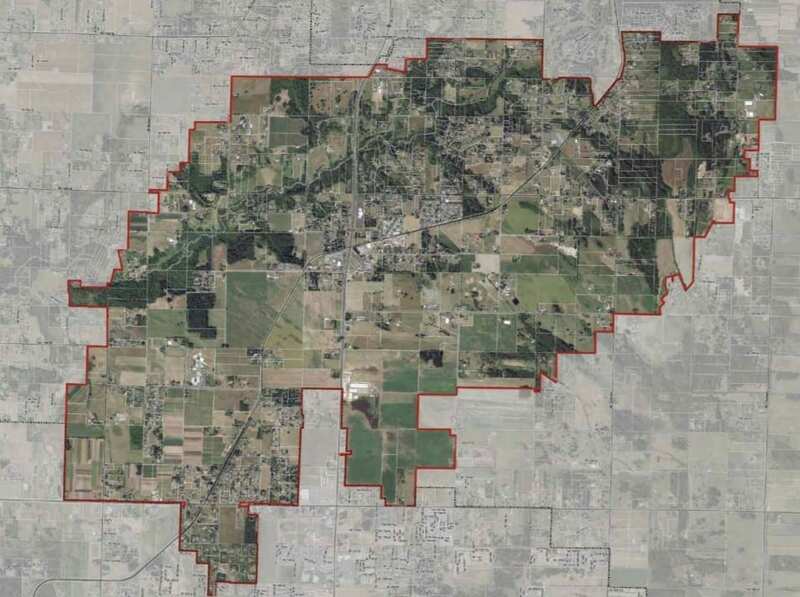 HOCKINSON — The first open house for the county’s plan to open a stretch of the Chelatchie Prairie shortline railroad to new development almost went off the rails. 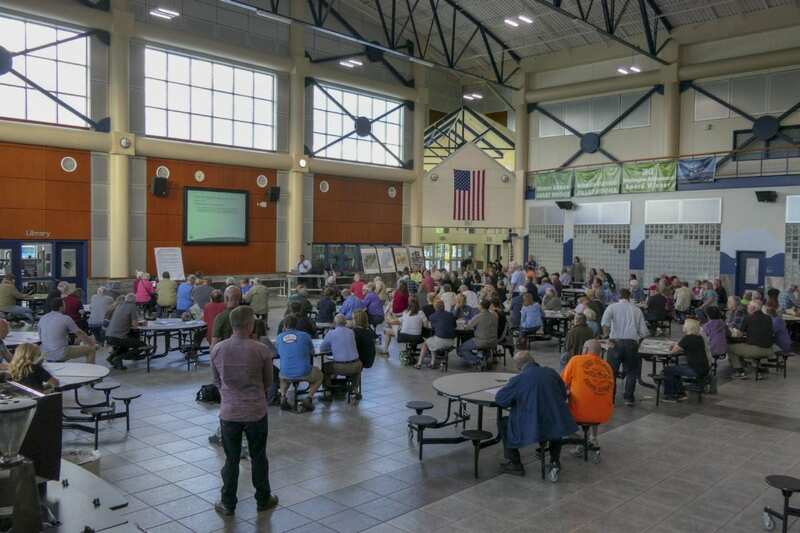 Around 100 people showed up inside the common area at Prairie High School to hear from county staff about the plan, which would re-zone land along a stretch of the line that runs approximately one mile, between the Urban Growth Boundaries of Vancouver and Battle Ground, largely from the Glenwood area, north to Brush Prairie. The county has been working since last February to implement a law approved by the state legislature last year. SB 5517 amends the states Growth Management Act to allow freight rail-dependent development along shortline railroads in Clark and Okanogan counties. Last March a subcommittee was formed, made up of representatives of surrounding neighborhoods, the farm bureau, city of Battle Ground, and others. The committee members were tasked with creating a proposal for where, and what kinds of business would be allowed. 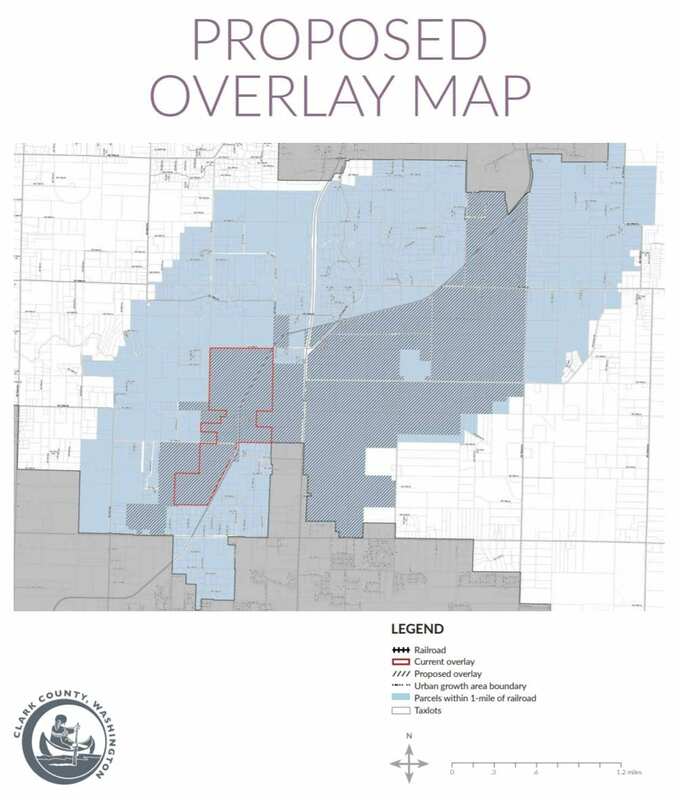 One major element that the committee struggled with was defining the word “adjacent” when it came to how near the rail line property needed to be in order to be considered in the overlay. Alvarez says the original proposal was to include properties that were within 500 feet of the rail line. That would have encompassed the area bordered in red on the overlay map. Ultimately the committee settled on a recommendation of one mile, meaning the final overlay map includes much more land than people originally expected. Eric Temple with Portland-Vancouver Junction Railroad, which operates the Chelatchie Prairie Line, says that last-minute adjustment may explain why the vast majority of the people who showed up at the open house were clearly opposed to the plan. At one point, they demanded a show of hands, and around 90 percent of the audience indicated they wanted nothing to do with the zoning change. A simple question of “how do we stop it” lead to a round of loud applause. When pressed, Alvarez admitted that the way the committee’s recommendation was worded leaves it open for the overlay to be expanded even farther. “But that’s ultimately going to be part of the decision of these regulations through this process, and council will make that determination,” he said. At one point the crowd demanded to hear from members of the county council, at which point Councilor Eileen Quiring stepped up to the microphone. 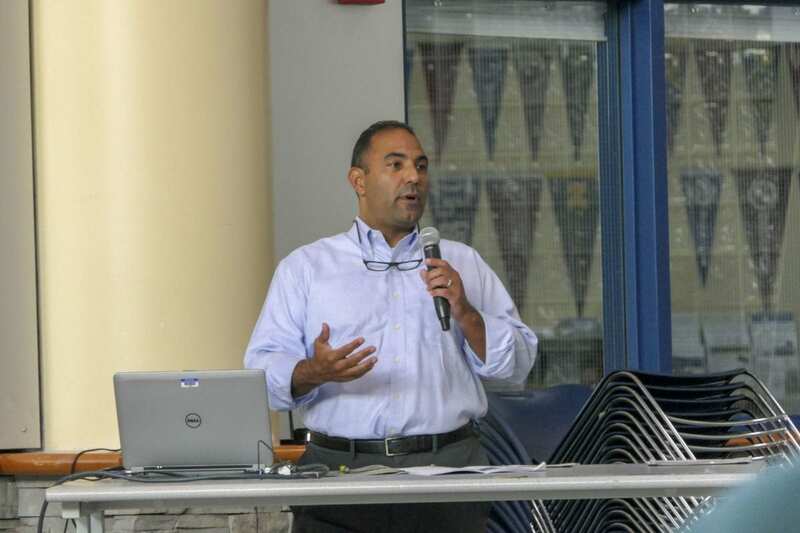 “So far I have been a proponent of this, because I think that it brings the possibility of jobs — good, well-paying jobs,” Quiring told the crowd. “So that your family members, when they grow up, or your grandchildren, can work here in Clark County. Quiring did not take questions from the crowd as Oliver Orjiako, Community Planning director, stepped in to remind the crowd that the open house was a chance for them to hear citizen feedback to pass along to the council, not a time to hear from the councilors directly. 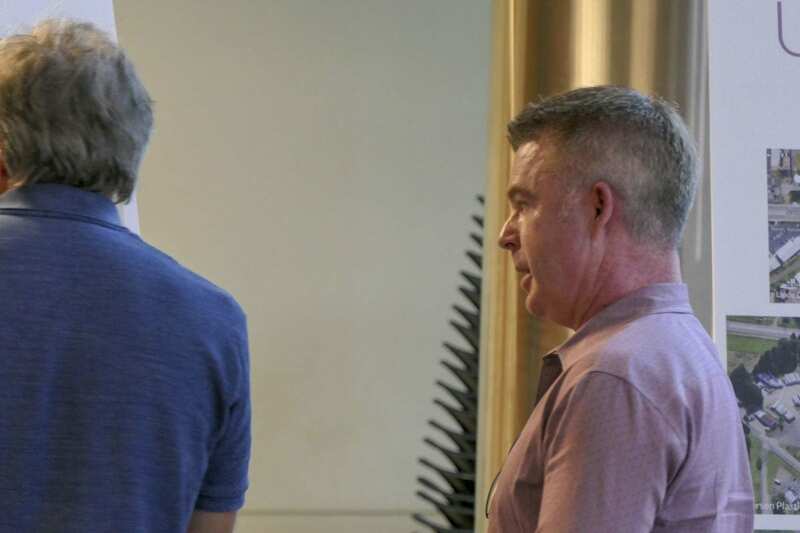 But Temple tells ClarkCountyToday.com that he feels the development regulations Councilor Quiring referred to were glossed over in the presentation by county staff. One hand that went up along with those opposed to the plan belonged to Eric Holt, Quiring’s opponent for the county chair seat in November’s general election. A major concern voiced by many in the crowd involved what kinds of materials businesses could transport using the rail line, or manufacture on site. While coal and oil products can be transported on the Chelatchie line by state law, the zoning rules proposed by the committee would prohibit petroleum or coal product manufacturing within that area. But two items that made the list as “conditional” uses that could be approved included asphalt and paver block manufacturing, and chemicals, including pesticides and agricultural chemicals. Alvarez said that the rail line operator had proposals from companies involved with those products, which is why the committee decided to include them as a conditional use. A conditional use, however, would require notification of anyone within 500 feet, as well as a public meeting. People living in the area could seek a public hearing from the full county council before any such business would be permitted. Another sticky question involved the committee’s recommendation that sewer lines be extended beyond the existing urban growth boundary to accommodate businesses coming into the area. Existing state law, one questioner pointed out, would prohibit such a development. Asked to clarify further about how the county could get around state law, the county attorney present at the meeting declined to do so. Temple says, if the county ever does decide to follow through with the freight rail-dependent overlay, there are plenty of businesses waiting to come into the area. From Holt’s point of view, those aren’t the kind of jobs the county should be going after. The county is soliciting feedback for the plan online through Sept. 13. That feedback will be given to county councilors before a work session Sept. 26. With the process still needing to get through the planning commission and several public hearings, it could still be several months before the plan reaches the full council for a final vote.